ANNECY, France (Reuters) - If Tour de France organizers wanted the soccer World Cup to end before the race started to heat up, then it is mission accomplished. No clear favorite has emerged from the opening block of racing as all the top riders, with the exception of Richie Porte, are still in contention on the first rest day before grueling stages in the Alps. The differences between the main challengers were essentially made in the team time trial in the second stage. 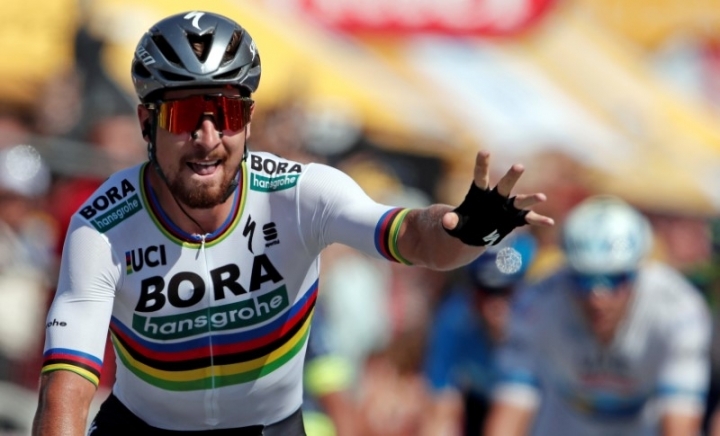 World champion Peter Sagan is firmly on course to win a record-equaling sixth green jersey for the points classification after winning two stages, just like sprinters Dylan Groenewegen and Fernando Gaviria. There were crashes, scares, misfortunes and setbacks but defending champion Chris Froome, who suffered two minor crashes, still has no idea who his main challenger is with 12 days of racing left. It could be his Sky team mate Geraint Thomas, who is the best-placed of the GC (general classification) riders after safely going through the first nine stages, including the much-feared cobbles-peppered route on Sunday, which was fatal to Porte’s hopes. The Australian fractured his collarbone in an early crash and abandoned the race for the second year in a row. "We're still here to try and win the race, whatever way that is. I think it's fantastic for us to have those options. 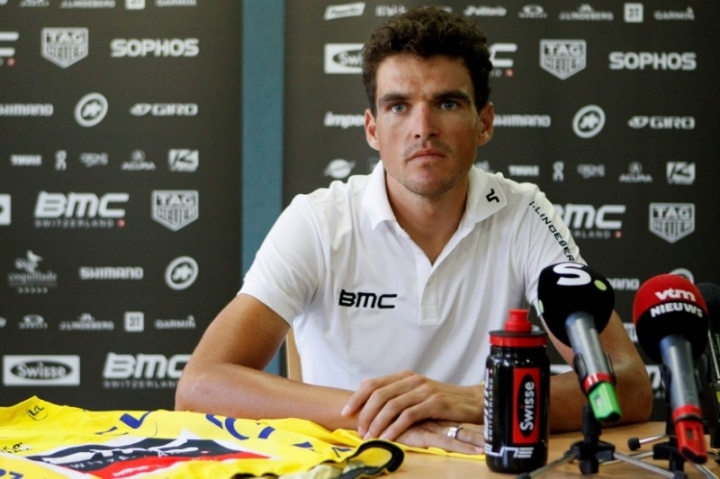 Obviously Geraint is in the perfect place now, we should see him going in to yellow over the next couple of days," Briton Froome told reporters on Monday. "But I'm still very much in the game. I think it's great for us to have those options to be able to play when it comes down to it, especially looking at rivals that have two or three options within their teams. A team like Movistar, for example, has two or three leaders." Movistar have three options in Alejandro Valverde, Nairo Quintana and Mikel Landa, but their conservative tactics are likely to do little to open up the race. Thomas is second overall, 43 seconds behind Greg van Avermaet, but the Belgian will surrender the yellow jersey on Tuesday, when the Tour hits the Alps with an intimidating 10th stage from Annecy to Le Grand Bornand that features four demanding climbs. Froome is 59 seconds further back and 2014 champion Vincenzo Nibali trails the Briton by six seconds. There will be two more stages in the Alps with a summit finish at the iconic Alpe d’Huez, but fireworks should not be expected as the top guns are likely to hold fire, waiting for the finale in the Pyrenees. 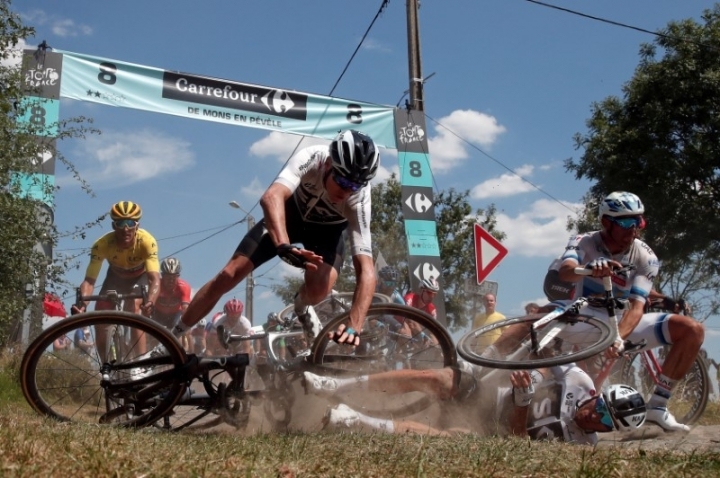 Twice podium finisher Romain Bardet, hoping to become the first Frenchman to win the Tour since Bernard Hinault in 1985, has suffered from bad luck with four ill-timed punctures, including three in Sunday’s stage to Roubaix. He has, however, limited the damage, unlike last year’s runner-up Rigoberto Uran, who lost 1:28 on Sunday after crashing. Bardet has already lost two team mates in crashes and his attacking options will be limited. 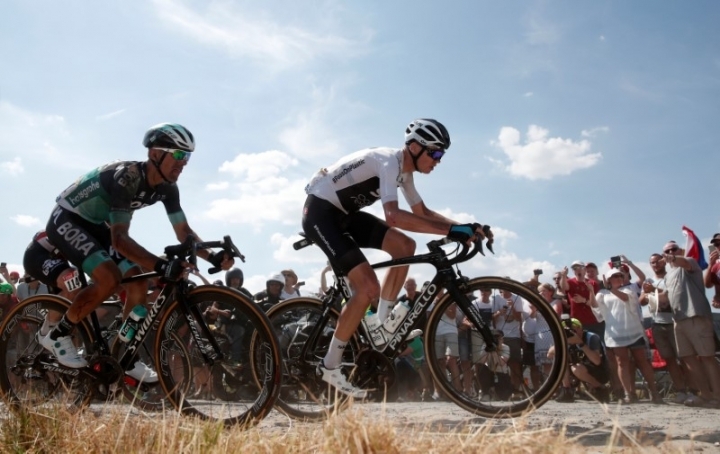 "There are still a lot of contenders in the game, I think the race will be very tight in the Alps," said Bardet who lags 50 seconds behind Froome.